If you are looking for quality rug cleaning services in the NYC area then you should seriously consider 212 Rug Cleaners as your number one choice. We are the only company in Manhattan capable of rug and carpet cleaning, as well as restoration of all brands of carpet cleaning, but we also take care of all your upholstery and sofa cleaning needs. We operate in the Manhattan, NYC and Brooklyn areas and respond quickly and efficiently to all inquiries. Stained your favorite white rug with red wine? No problem! Call 212 Rug Cleaning NYC, and let us take the hassle out of stains for you, all with a 100% customer satisfaction guarantee! Keeping the rug in a home or commercial area is not only a status symbol these days but also a need of time. They offer a different look to the home and keep the area look much adorable. 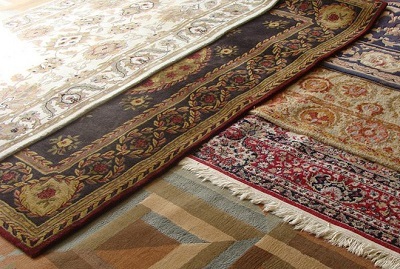 However, the beautiful looking rugs can be a home for many insects, and various allergens also get developed beneath it. Over a period the stains also spoil the look of the rug, and at such stage, one needs to hire professional rug cleaners who can make the rug look like new after thorough cleaning. The cleaners also offer work with a guarantee to the client. Rug cleaning is a task that needs to be carried out by professional cleaners only. It is much different than the ordinary cleaning, and one needs to use high-quality cleaning agents that can help to remove the stains and dirt from the rug in almost no time. They have best of the class equipment such as cleaners and dryers who can help them to carry out the task as expected. The cleaners after having first look to the rug only understand what all the treatment they will have to use to meet the cleaning expectation of the client and work accordingly. Why Choose Us for Carpet & Oriental Rug Cleaning in NYC? 212 Rug Cleaners NY is a fully licensed, bonded and insured Rug Cleaning company, so you know that when you buy from us your investment is safe. According to the Environmental Protection Agency your carpeting and rugs require cleaning at least once a year. This is due to the heavy volume of foot traffic that your flooring sees, allowing a build up of dirt, grime, pet hair and (in the case of parents everywhere) the occasional melted crayon. Here at 212 Rug Cleaners we use State-of-the-art cleaning materials and equipment that will make your home or business's flooring sparkling clean once again, leaving you to get one with the important stuff worry free! Our specialist equipment clears away 99.99% of bacteria, dirt and germs... meaning that your little ones can play freely, without the threat of dust-borne diseases and ailments. We do recommend that those who require rug cleaning or oriental rug cleaning NYC, get their carpets cleaned once per year. However, homes with high humidity, environmental contamination (such as farmhouses), several occupants, pets or smokers living within should aim to clean their carpet bi-annually instead for optimal results. Our New York City business also specializes in the additional cleaning services of upholstery, drapery, leather, mattress, smoke and fire damage restoration, mold removal, pet stain removal, Scotch Guard protection and water damage. You won�t find a better or more thorough company in NYC for all of your deep household cleaning needs. The technicians at 212 Rug Cleaners have undergone extensive training and field service so that you can rest assured that your carpets and rugs are getting a deep-down cleaning that will make them look and smell better. Our rug cleaning professionals use solutions that are green-friendly and proven to be effective at giving a long lasting fragrance. We pride ourselves that our chemical-free, non-toxic solutions can actually leave your rug cleaner for longer than traditional chemical cleaners. Here at 212 Rug Cleaners NYC we offer free estimates with no risk to yourself. An expert will appraise your situation and determine how to proceed, and will stick with you throughout the entire process to make sure the job is completed entirely to your specifications. Our aim is to leave each client entirely satisfied with the job we do, and we will stop at nothing until we have achieved perfection! When you hire from 212 Rug Cleaners NYC you will get a unique and professional service that you will not find anywhere else. Not only do we clean a whole range of upholstery, but we can also advise you on any carpeting restoration needs that you may have. Our experts are all trained extensively in chemical usage and customer service, and can handle stains and discolorations of any and all kinds. We pay vast attention to detail in our effort to leave you happy, and you will be amazed at the difference we could make with our rug cleaning in the New York City area. Here at 212 Rug Cleaning NYC we have a long list of satisfied clients who are happy to speak to the quality and efficiency of our work, and we feel that a happy customer says more about a business than its profits do! With us you have no need to worry about stains and spills, or about having the family over for Thanksgiving. Simply give us a call and let us clean up all that hard working upholstery for you, and you will never look back again! Call us now for your free estimate, and see how much we could do for you! "A great, convenient and fast experience! Eli came the next morning, as I had called Sunday evening, right on time to give me a free estimate regarding how much it would be to clean and remove a large stain on my area rug. I accepted the price, and he came back right away with all supplies needed. It took him less than 45 minutes to turn my old, worn out, stained rug back into a rug, which looked brand new, as if I had just purchased yesterday! Very friendly service and easy to book last minute! Will definitely be using them again in the future and I would certainly recommend them for others to use, as well!!" "Ely arrived promptly, and gave me a full assessment of what my oriental rug specifically needed. He was friendly, and helpful. The cleaning turned out beautifully - the colors are brought back to life and ALL the dirt lifted out. He also really worked hard on little stains, and a wax spill and was able to lift those out too. In short, these cleaners give real attention and care to their work and I'm planning on using them again in the future. Top rate service and results!!!" "I did a lot of research when I wanted to get my carpets cleaned. At last I understood that it was only this company that was able to give me an exact charges, a full explanation of what I should expect, what processes of cleaning will be done etc etc. Everyone who knows me is aware of my picky personality and just the fact that I'm pleased with the service of 212 rug cleaners from the beginning till the end, gives me the right to highly recommend them to everyone who is looking for a professional job. My delicate rugs are cleaned,have no damages and were delivered after exactly a week." "Absolutely amazing job! I want to walk barefoot all the time now. I feel especially good that they don't use harsh chemicals, so those aren't in my home. The rugs were picked up and delivered back right on the promised day, too, with the guys being very patient to place them exactly where I wanted them. I have no reservations in fully recommending 212 Rug Cleaners for care of your delicate and favorite rugs." "212 rug cleaners is the BEST!! My rug was returned in the Highest quality clean possibly and they were so great with helping me move my furniture and position it in my room! I would highly recommend using them . The BEST in the city !!" "I had an oriental rug that was not only dirty but the fringe was damaged as well. I called 212 Rug Cleaners because I had used them in the past. They cleaned my rug beautifully and ref-ringed it. The carpet looks brand new. Great job!" Looking for professional Rug Cleaning NYC area then you should seriously consider 212 Rug Cleaners as your number one choice. We are the only company in Manhattan capable of rug and carpet cleaning. Call us & get best Rug Cleaning service in NYC.